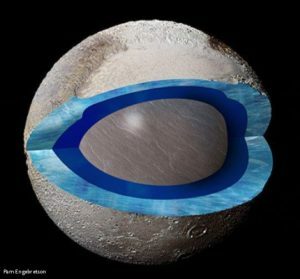 Pluto very likely has an enormous slushy ocean 62 miles deep below the heart-shaped region on Pluto, Tombaugh Regio, according to several New Horizon’s scientists. This subsurface ocean would provide an answer to Pluto’s unique surface features in this region and why Pluto and Charon are locked into the alignment that New Horizon observed. 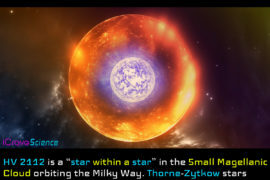 This paper published in Nature details their discoveries. 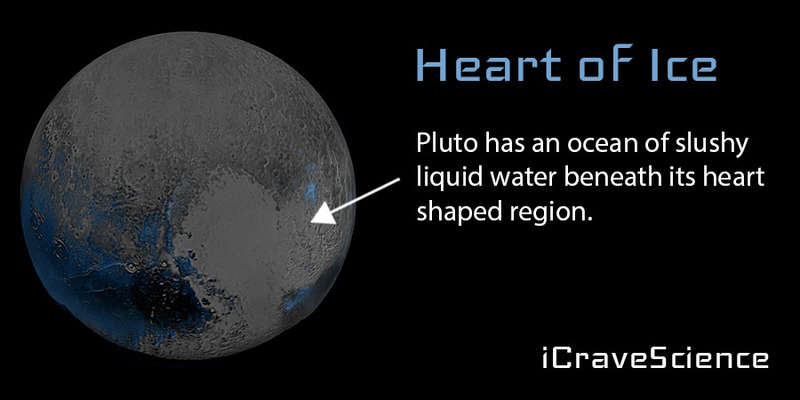 The subsurface ocean could be a global ocean on Pluto or more concentrated below the heart-shaped region. It seems water is a lot more abundant in our solar system than scientists originally thought, giving rise to the possibility of life in regions previously thought to be impossible. Scientists were confused as to why Pluto’s heart-shaped region would always be facing directly away from Charon, Pluto’s largest moon. The left lobe of the heart-shaped region on Pluto is likely filled with nitrogen ice being pushed up from the slushy ocean below. This is causing a bulge on Pluto in this region and might be a contributor for the unique Pluto/Charon alignment. Scientists are now on the search for what is the source of Pluto’s warmth? What is causing the ocean to be liquid and not a solid ball of ice? 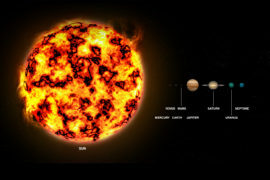 Scientists suspect it could be the tidal interactions with Charon or radioactive elements in the Pluto’s core supplying the heat. Finding water on Pluto also raises the possibility of other Kuiper belt objects with subsurface oceans. 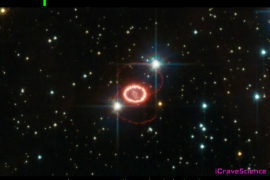 Hydrogen, helium, and oxygen are the most abundant elements in the universe. Hydrogen (74%) and helium (24%) make up roughly all the visible matter with oxygen a distant 3rd and the rest of the known elements making up a minuscule amount. Helium is inert; therefore, the next two abundant elements are hydrogen and oxygen. The water molecule, H20, forms very easily. This relationship and the abundance of these two elements is likely why so many bodies have been discovered to have water. The other solar system bodies thought to have water include: Europa, Enceladus, Ganymede, Callisto, Ceres, Dione, and Mars.